A great deal on an air fryer! 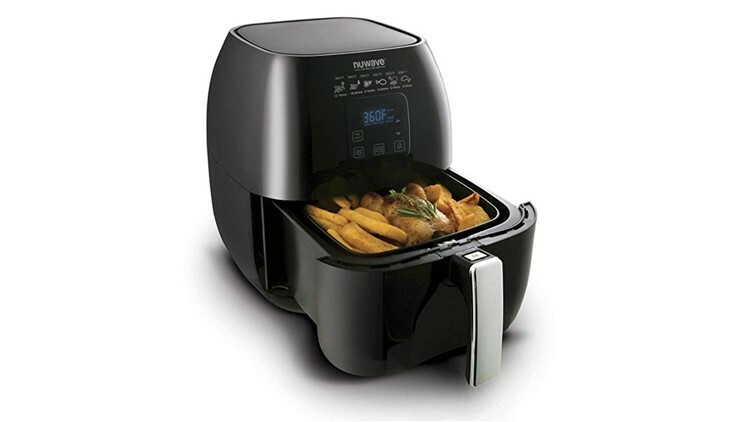 Air fryers allow you to cook tasty fried foods without using oil! It was one of the most popular requests during my DEALBOSS Facebook Live yesterday and today, it's the top deal on Amazon just in time for the holidays. You've seen them everywhere. From infomercials to prominent retail and department store displays, air fryers are the hottest (and one of the healthiest) products on the market right now. Imagine healthier fried foods. You no longer need the oil thanks to air fryers which allow you to enjoy your favorite crispy and delicious fried foods minus those added calories. Using Rapid Air Circulation Technology, air fryers cook food by circulating hot air in all directions, ensuring fast and even cooking. With a temperature range of 170 degrees to 400 degrees, my pick today gets almost any job done in 30 minutes or less.